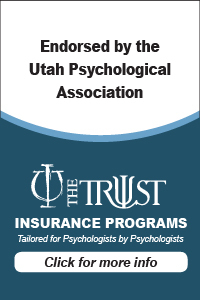 Utah Psychological Association - Ethics and Risk Management in the Age of the Affordable Care Act: Everything You Didn’t Want to Know and Were Afraid to Ask! Ethics and Risk Management in the Age of the Affordable Care Act: Everything You Didn’t Want to Know and Were Afraid to Ask! This CE has reached capacity. If you are interested in being put on the waiting list for possible cancelations, please call directly to Teresa Bruce, Executive Director at 801-635-0407. Eric A. Harris, Ed.D., J.D. This workshop diverges from our typical approach to risk management training. Rather than focusing primarily on specific risk issues in psychological practice and strategies that minimize them, this workshop will focus on ethical and risk management issues as they relate to the broader changes in psychological practice that we and other observers believe will be generated by the Affordable Care Act. Depending on how successfully health care reform is implemented, the changes to psychological practice are likely to be profound, particularly for those psychologists in third party reimbursed private practices. We have already been buffeted by the industrialization and external management of the health care industry that has reduced both income and job satisfaction while increasing the administrative burdens of our work. The ACA is aimed at increasing efficiency and efficacy in an attempt to reward results rather than procedures through more integrated medical homes that will control decisions about care. There is some good news here. There seems to be real understanding that mental health and physical health are intimately related and treating them as separate “silos” results in greater costs and less effective service. Health care insurance will be available to many new patients, many of whom are poor and disadvantaged and many of whom will have substantial mental health needs. But this reorganization will require major changes in traditional methods and business plans of private practitioners and we believe it is crucial for all psychologists to begin to plan for this change. This workshop will attempt to describe the changes we and other observers see coming and some preliminary thoughts about strategies for dealing with these changes. Good risk management requires facing these new trends knowledgeably and beginning to develop adaptive strategies. This workshop will also provide an updated focus on the changes in practice that will result from the digital revolution. The ACA will require practitioners to digitize their records with interactive capacities so that the care can be more effectively coordinated. There will need to changes in the ethics code and other regulations to separate private from professional activities, to allow different methods of marketing and practice promotion, and to deal with the complex issues presented by inter-jurisdictional practice. Identify three major changes in the organization and delivery of health care services that will impact psychological practice. Develop a strategy for transitioning to and working with electronic health records systems. Develop documentation strategies for interacting with medical homes and other medical health care delivery systems. Describe three boundary implications of technology and steps to address them. Summarize the structure through which DHHS is increasing its HIPAA enforcement processes and their implications for practitioners. Name four issues which psychologists must address in the process for retirement. Eric Harris, Ed.D., J.D. 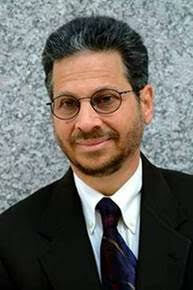 is a licensed psychologist and attorney in Massachusetts. He is a consultant to The Trust, through which he provides risk management consultation services to The Trust’s insureds. Dr. Harris received his J.D. from Harvard Law School, and his Ed.D. in Clinical Psychology and Public Practice from the Harvard University School of Education. Dr. Harris is legal counsel to the Massachusetts Psychological Association, where he served as Director of Professional Affairs for ten years. He currently serves on the APA/ASPPB/Trust Joint Task Force on the Development of Telepsychology Guidelines for Psychologists. Bring business cards for structured networking at 8:45, lunch, and breaks. This workshops qualifies for 6 hours of Ethics Continuing Education. To pay by mail, send payment to 5442 South 900 East, Ste. 512, SLC, UT 84117. Participants can receive a 15% discount off your Trust sponsored professional liability policy premium! Cancelations with full refund accepted until September 18, 2015.